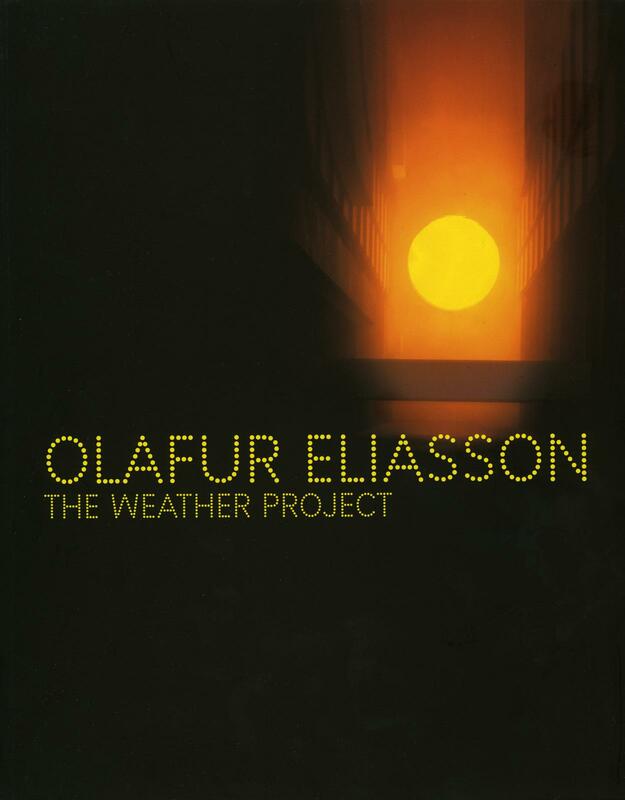 This catalogue was published to accompany The weather project, 2003, Eliasson’s large-scale installation for the vast Turbine Hall of Tate Modern, London, UK. As part of his preparation for The weather project, Eliasson devised a questionnaire that was circulated among the museum’s employees. They were asked to answer questions such as: ‘Has a weather phenomenon ever changed the course of your life dramatically?’; ‘To what extent are you aware of the weather outside your workplace?’. The results were published in the catalogue, alongside a roundtable discussion about the communication of art, meteorological reports of freak weather events, weather statistics, and essays by Susan May, Bruno Latour, Israel Rosenfield, Doreen Massey, and Olafur Eliasson on the weather, time, and space.